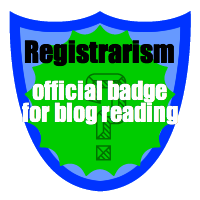 This entry was posted in Admin, Diversions, Education, Fads, HE, skills, web and tagged Administration, badges, Diversions, fads, HE, Students, universities, web by Paul. Bookmark the permalink. I can see some uses for the idea, though not at the level of higher qualifications. I think Wikipedia is a good example – it is a massive resource run by a huge community of volunteer editors which has its own internal system of rewards (http://en.wikipedia.org/wiki/Wikipedia:Awards) which largely takes the form of badges. The prestige of earning them may be small, but it’s still a reward and people tend to like being rewarded even in small ways for contributions. Eventually, a culture has developed where earning these small rewards is viewed as worthwhile, all at negligible cost to the organisation. In a HE context, why not use such a system to reward professional development? The Khan Academy is a great example of using minor awards to encourage e-learning. 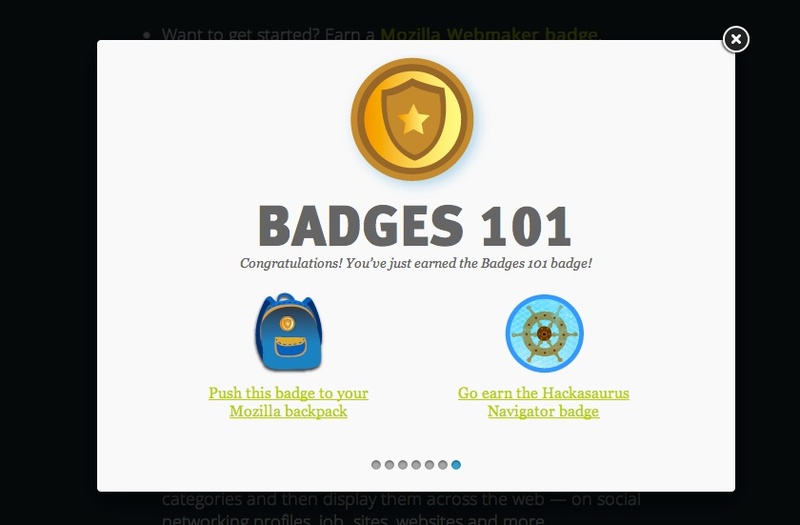 Similar small reward systems could be used to make online professional development e-learning more interesting and give people a more interesting way of showing that they’ve undertaken professional development courses than listing “I completed my Agresso requisitioning training last March.” Why not display training badges on workspace? It may not be to everyone’s taste but it will encourage some staff to develop their skills further, which is of net value to the institution and practically negligible cost. All entirely fair points. 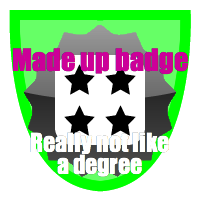 Many of the badge enthusiasts though do seem to suggest that badges should be seen in some ways as equivalents or alternatives to academic qualifications.